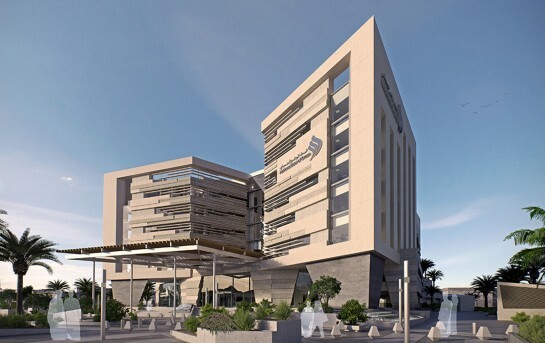 LOM’s contemporary head office for the National Bank of Oman in Muscat, has been selected to appear on the AJ’s Architecture Tomorrow stand at MIPIM UK 2015. The 50,000sqm headquarters for NBO reflects the landscape, architecture and culture of Oman, providing high quality office space, a large head office bank branch and a striking atrium inspired by Oman’s dramatic wadi gorges. The building is due to complete in 2017 and will complement major office buildings completed and under development by LOM in the UK, Qatar and Dubai.